Picturing Disney: Mondays Bite! 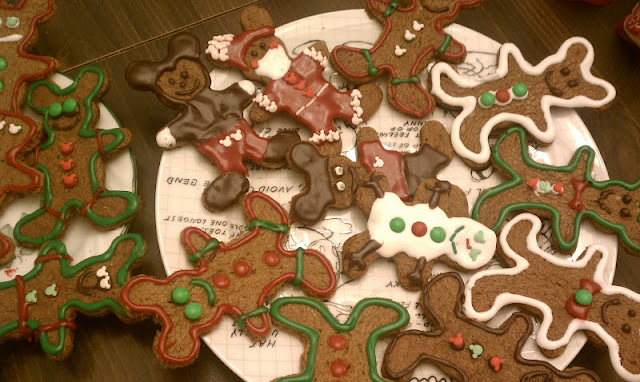 Gingerbread Mice! I am all about Disney kitchen supplies. 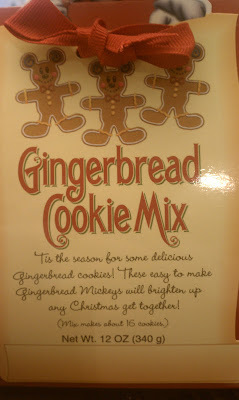 And when I came across a Gingerbread Cookie Mix in the parks last October that came WITH a Gingerbread Mickey cookie cutter I could not resist! I wanted to share my exploits although you could really use any dough! The dough rose a little more than I would have liked but it was no real issue as I just trimmed the ones I didn’t like down. 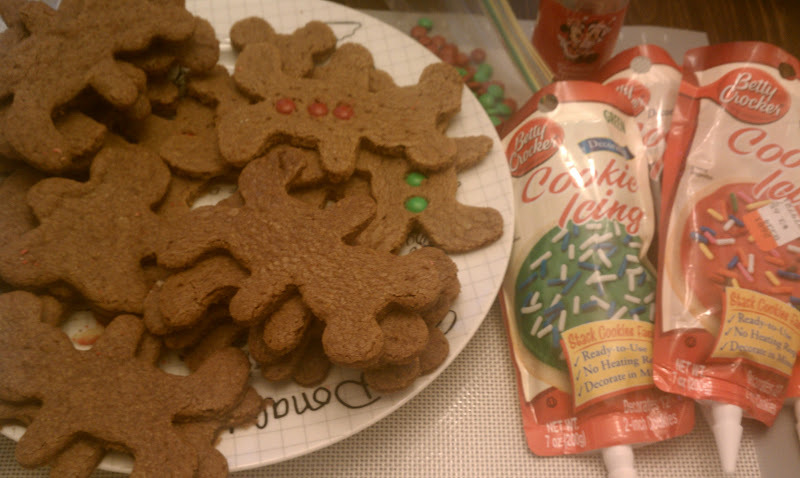 I decorated with some cookie icing that was conveniently on sale at the local grocery store. And while I am pretty good with covering and frosting things in various forms I am not that artistic with tubes of cookie icing so my husband and I got a good laugh out of a few of these guys (before eating them to destroy the evidence of my mess ups). lol. This was a great little package, the gingerbread was tasty and since I would have paid that much just for the cookie cutter I am very happy with my purchase.